Did you know you can overwater your new plants? Your plant roots, like us, need oxygen to survive. Overwatering can literally “drown” the roots by replacing the oxygen pockets in the soil with water. Please follow our Planting and Care Instructions so your plants can breathe and stay healthy! If your Ash tree is still alive, here is the best product now available for homeowner use in combatting the destructive Emerald Ash Borer. Click for downloadable Detailed Instructions for Emerald Ash Borer control using Zylam. Want a shade tree but you're not sure what kind to plant? Well, you've come to the right place. We are your tree experts! 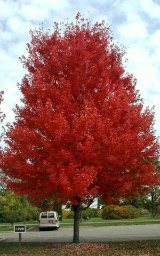 Our Master Horticulturist has developed a detailed list and description of shade trees that are best suited for our area here in Northwest Indiana. The file is in pdf format, so you can download and print it to bring it with you when you are out shopping for trees. Do you love Crabapple and other fruit trees, but are confused about how to care for them? 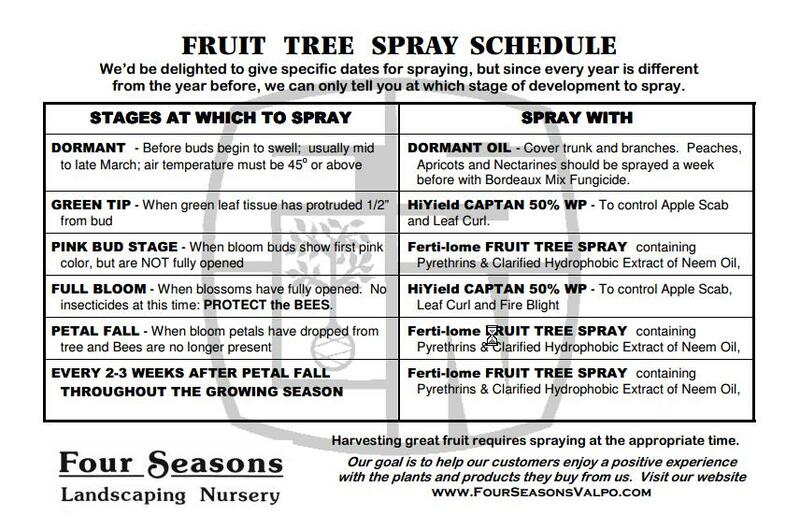 Read our Fruit Tree Spray Schedule to clear up questions about when and what to spray. Before digging on your property, it is important that you call "Indiana 811" to have all your buried lines located. In fact, it's the law! You must make this free call at least two full working days prior to digging. We have a couple of new solutions for weed control. Using these two products together you can kill existing weeds and prevent new weeds for 3-6 months in areas such as along fences, in cracks in patios or sidewalks, along the driveway etc. These products are NOT sprayed in lawns (unless you are wanting to kill all vegetation). The products may also be used individually, depending on your needs.